Hey guys! I know, I know- Dominating Dina's blog again. Sorry- just this one then I'll be gone for ever a bit. So I wanted to mention the book I am reading at the moment and I could not figure out how to weasel it into the A to Z Challenge. Until today. In today's chapter there was a section on stress. That is the topic for today. 1. EUSTRESS- the positive stress you can do something about. If you are too hungry, you get stressed. It relieve the stress you eat. EUSTRESS is positive because it looks after us and keeps us alive. 2. NEUTRAL STRESS- neither positive nor negative. The TV is loud bit out doesn't bother you enough to turn it down. 3. DISTRESS- this is negative stress. You are starving but you can't get food; you're in distress. This affects people abs dogs both physically and mentally. It can have long lasting effects. Since EUSTRESS can be solved quickly and NEUTRAL STRESS doesn't bother us, it is DISTRESS that we have to combat. A lot of things can cause DISTRESS in dogs such as: being left alone, loud noises, exposure to something they are afraid of or boredom. You can tell if your dog is subject to stress of they show displacement behaviours. These behaviours allow for some of the stress to be released. Behaviours like this include: chewing, peeing in the house, licking the body into a state, pacing or excessive barking. Not all dogs that show these behaviours are necessarily stressed. If a house broken dog pees in the house it could be a sign of a health problem. If a young puppy chews it is teething. A way to combat stress is too teach the dog that whatever it is that they are stressed out about is not that bad. 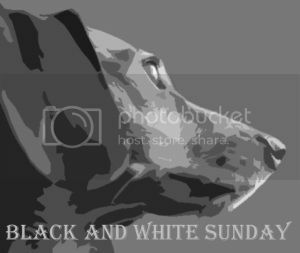 For example start training a dog that has separation anxiety that it is ok and fun to be left alone. I would consult a professional positive dog trainer/behaviourist for this. Give appropriate chews such as antlers or bully sticks. You can give your dog a KONG with their kibble, spiced up with cottage cheese. Giving more exercise is usually key too. Keep on the lookout and react early. 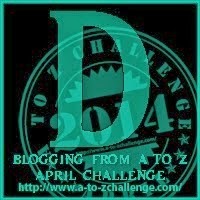 Over from the A to Z challenge and as a fellow Brit wanted to check out your site. Lovely photos!